Asus has come up with its new gaming laptop – Asus G75VW for computer game lovers. The gaming gadget is an expensive product and to be launched soon in Indian market. The device debuts 17.3 inch Full HD 3D display, Windows 7 operating system, Intel Quad-core processor, inbuilt High Definition Webcam, 8 Cell Li-ion batteries and 12 GB of RAM. Read this post to know specification, price and reviews for Asus G75VW gaming laptop computer. For gaming gadgets lovers Asus unveiled new laptop with gaming features and peculiarity. The device manages a frame-rate of 30.8 frames/ second. The G75VW may be an impressive product for gamers as its system performance is really much better than what one can expect. The gaming device features 17.3-inch HD display screen, latest Windows 7 operating system, large storage memory expandable capacity up to 16GB, hybrid 1TB HDD, microphone jacks, HDMI out, 8 Cell Li-ion battery and many more. Here we have a look over complete specification and reviews for the ASUS G75VW Windows 7 gaming laptop. Asus G75VW laptop debuts large 17.3 inch Full HD Non-Glare 3D display and 1920 x 1080 pixel screen resolution and supports VGA out and a mini Display port connection. The device also has an inbuilt High Definition Webcam. Asus G75VW machine is runs on 64-bit Genuine Windows 7 Home Premium and houses Intel Core i7-3610M Quad-core CPU (with 2.3GHz, up to 3.3GHz, Turbo Boost, 6MB Cache, 45W TDP) with 12 GB of RAM. 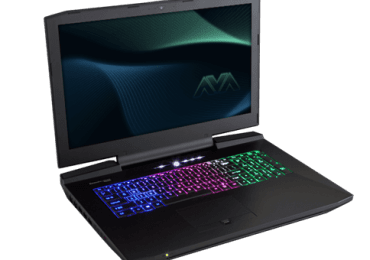 The machine features multitask power and its memory is extendable up to 16GB, 256GB SSD with a Hybrid 1TB hard drive (5400rpm) which offers large storage and fast read/write times for enhancing gaming and smooth performance. Asus claims that the G75VW laptop with 8 Cell Li-ion batteries (74Wh; 5200MAh) is capable enough to show backup support up to 3 hours, 36 minutes for provided more time away from an outlet. This gaming gadget supports connectivity features like Wi-Fi (802.11b/g/n) for wireless internet access, Ethernet, microphone jacks, HDMI out, Blue-ray drive/ DVD, 4 USB 3.0 ports (including one sleep-and-charge), headphone, three-in-one card reader, VGA out and a mini Display port connection.